Heat Therapy may sound new to you but you have likely been exposed to this your entire life. You have certainly witnessed this process in action. Hot tubs, hot water bottles, heating pads or a hot bath are all example of this and have been used for centuries to fight or relive joint pain, back pain or other muscles spasm induced problems. Infrared saunas are one form of this heat therapy that can heal much more than muscle spasms and provide numerous health benefits. Our mission is to provide you with the information we have gained from 6 years of research. Our hope is that it will save you many hours of time and frustration. 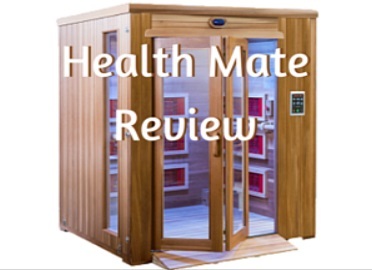 It is based on years of research in the infrared sauna industry and regular talks with the owners of some of the top brands. We have witnessed the remarkable healing which comes from penetrating heat in our own family. A family member had suffered for years from a serious soft tissue injury and the only healing they experienced was from using an infrared sauna. 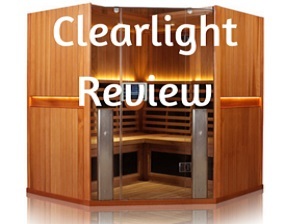 It was our research into finding help that led us to infrared heat therapy and eventually into the purchase of our Clearlight infrared sauna. This website was a natural progression from our experience. We are glad you found our site and we want to provide you with all the information you need to access this powerful form of healing. Our home page briefly discusses some reasons for our site and why our main (but not only) focus is on infrared. Our main infrared sauna page provides information on basic benefits and uses for infrared as well as serving as a link hub to our most important informational pages. Each brand has its own review page which can be accessed through our main menu as well as some links in the sidebar. We have a central page summarizing and comparing many of the brands with links out to the individual reviews. Heavenly Heat Saunas is an exceptional brand that offers individual heater controls and has passive air circulation throughout the sauna cabin. For those reasons, a very popular and important page on best temperature setting guidelines is linked to from that brand page. Not all infrared is the same and not all saunas provide the same benefits. We learned early in our research that even some expensive brands were vastly inferior to a few exceptional products. One term we use frequently is recreation use. Saunas selling for $1500 and less fall into this category. They will warm up muscles prior to and after a workout and can promote sweating. But the sweat will not contain toxins and will not release contaminants from fatty tissues. If your goal is to find infrared that will provide true healing and all of the exceptional benefits that are associated with infrared, you will find the information you need on our site. Most brands are covered with detailed reviews and articles. A summary and comparison of all brands can be found on our brand comparisons page. Why the Focus on Infrared and Saunas? Infrared is a convenient way to allow healing light wavelengths to penetrate deep into tissues. This prompts the vasodilation that is needed without needing direct contact with the skin. Infrared also has many additional benefits including increased collagen production in the skin, passive cardiovascular conditioning, detoxification and re-training the body to live in a parasympathetic relaxed state. Studies show that soreness from injuries or workouts is reduced significantly and is eliminated in much less time when heat is applied. It works by penetrating deep into the tissues and goes right to where the muscles hurt, bringing relaxation and soothing the overall body and mind as well. Medical research also shows that dry heat therapy is more beneficial than moist heat in tissue healing and improved blood flow to injuries. Heat is often used by direct application of the heat source on the body part where heat is needed. Examples are heating pads and hot water bottles. However great care must be taken in these applications to not apply too much heat or injury and other negative consequences can occur. Infrared heating elements do not make direct with the skin. Instead they send healing perpetrating light waves deep into tissues. They have the benefit of directly heating the areas where the blood capillaries, trigger points and neuron terminals are. There is also a very real mental and physical relaxation from using heat. Heat therapy is used very often for injury rehabilitation. Therapeutic benefits include increases to the collagen tissues, decreased joint stiffness, reduced inflammation, improvement in sleep and relief of muscle spasms. While cold and ice treatments can reduce swelling in minutes, a heat treatment can relieve symptoms of many chronic ailments including arthritis and related conditions. However the primary benefit is the increased oxygen supply to injured tissues due to vasodilation. We detail many additional benefits of infrared heat treatments in other sections of our site. Heat can heal. It brings needed blood and life giving oxygen to the afflicted area. But it goes beyond this and actually reduces the physical feeling and sensations of pain. The heat can block the pain signals from being transmitted to the brain by stimulating sensory receptors. This provides effective and immediate pain relief. So this is a double benefit. It reduces the pain but also the correlating sensations. Circulation is also increased to an area needing this relief, transporting life giving and pain relieving nutrients to the area. As a result, the tissues also stretch and relax which over time also increase flexibility. A constant, continuous low level heat is usually most effective. How Common is This Therapy? This is used everywhere from near infrared directly on the skin at a chiropractor’s office, during a back massage, after sports injuries and very often with spa and hot tub use. Saunas have been in use for centuries with a tradition of providing tremendous health benefits. Finland is believed to be the origin of what they called sweat baths, although many eastern European countries have a similar history. The native Americans in North America also practiced sweat baths in both earthen domes and animal skin huts. Today almost all homes in Finland have a sauna which is often used daily. 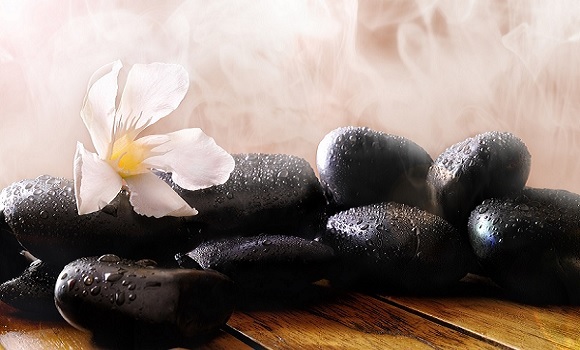 In addition to traditional steam, infrared saunas are a modern marvel, allowing everyone to have immediate access to the healing and benefits of heat. 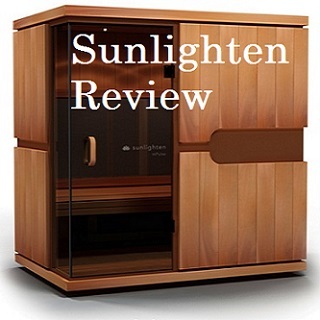 Jacuzzi Clearlight and Heavenly Heat Saunas are top rated brands providing unparalleled penetration into the deep tissues. Another popular brand is Sunlighten which we also cover in depth on this site. Research consistently shows that deep sweating can provide many benefits. What are these benefits of sauna? These benefits are largely based in the process of your core body temp rising causing a related dilation of your capillaries. This is similar to exercising, resulting in a cardiovascular conditioning benefit. As a result, your body’s nervous system sends signals to all sweat glands of the body which begin the elimination of stored toxins. This deep sweating is part of a healthy lifestyle so that you look and feel better. Additionally, the process relieves stress and is a place to relax without distractions. As the muscles relax, the high temperatures release endorphins which provide generalized pain relief. Most natural health experts are in strong agreement that saunas aid in detoxification and result in a correlated overall health increase. Sleep is often improved as well, especially if you sauna in the evening. Your body temperature will rise then slowly fall. The body relaxes even more as your temperature drops and promotes deeper sleep. As mentioned, this improves cardiovascular ability and trains the heart muscle and regulatory system. After exercise, additional good practices are spas, heating pads and other heat sources. The social environment of spas help you feel great and feel part of a social group. All of this is best when used as part of an integrated health program and an optimized diet with organic foods. This should include lots of vegetables, veggie juice and natural or Himalayan salt to replenish the electrolytes lost during sweating. If this is a new regimen for you or deep detoxification is needed, get plenty of rest as part of program. Far infrared, near infrared, traditional steam, domes and mats all have a part in healing and are excellent ways to help reduce and control pain. Traditional steam involves high temperatures up to 200 degrees. The humidity is controlled by pouring water on rocks over an electrical element. It is the high temperatures that indirectly induce sweating. In contrast, far infrared uses lower temperatures of 110-130 degrees. The goal is to keep the temperatures lower so the infrared penetrates. The heaters have a large surface area providing light which penetrates 1 to 2 inches into the body. Low EMF heaters are a very important consideration when using infrared. These saunas can include color chromotherapy which bath the user in different colors of light. Sweating is great for detoxification, especially releasing heavy metals from fatty tissues and creating a hostile environment for health damaging organisms. All of the above programs which allow you and family to have more control over your own health. As always, consult your physician regarding any change in health protocols and discuss any medicine you may be taking. A sauna will not cure any disease, but it can start your body on a path of healing itself. Welcome to our website.